Applications Photo Mounts, Menus, Table Planners. 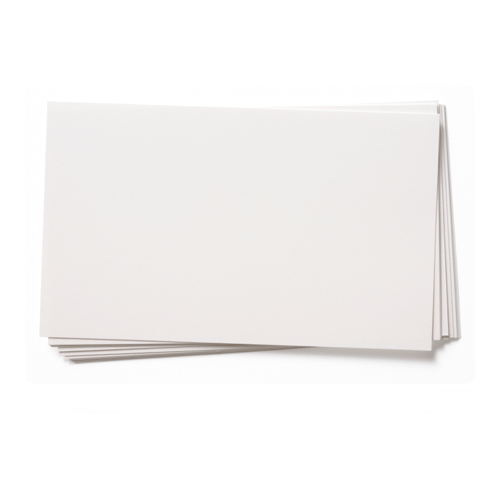 A white heavy weight 600 gsm card that has a variety of uses. It is very popular for use as a mount board. This card has a smooth finish. Customers are advised that they should contact PaperCard to check stock levels before ordering bulk quantities of this heavy grammage card. Additional delivery charges may be applied to remote or overseas destinations. Despite being told that the item would be delivered by noon in two days time it arrived late afternoon of the named day. However, the quality of the goods were excellent.